Canada's Anti-Spam Law (CASL) requires businesses to obtain either express “opt-in” or implied consent to send commercial electronic messages (CEMs) to any recipient. This can be anything from email, to SMS and social media messages, meaning that this legislation is far broad than others such as CAN-SPAM which are just targeted at emails. In addition, all electronic marketing messages need to clearly identify the sender, include the sender’s contact information and provide an unsubscribe mechanism, unless fully exempted from the Act. It came into effect on 1 July 2014. Three Canadian government agencies are responsible for this law and if you are found not to comply with it 'to the letter', you could receive a fine of up to $10 million and face criminal charges. These fines are imposed per violation daily. The larger your organization is, the harder it is to enforce a CASL email policy for all messages. 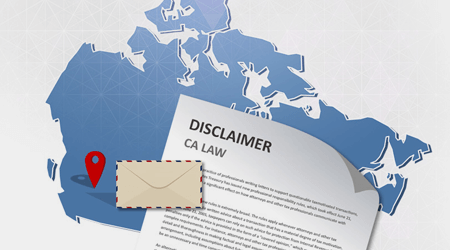 You need to ensure that a Canadian email disclaimer contains information required by CASL and include appropriate opt-out hyperlinks for unsubscribing. 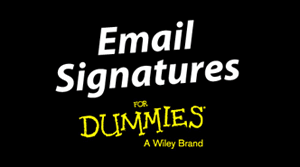 It is the responsibility of all organizations to ensure that each employee has a compliant email disclaimer added to their signature and the best way to do this is via central email signature management. Applicable to anyone storing personal data, the Canadian Privacy Act was established to protect personal information collected by the Canadian government. 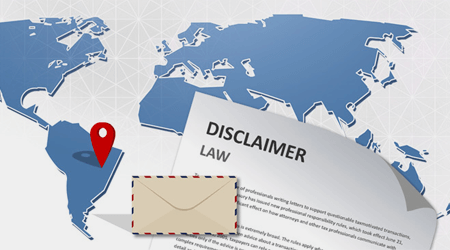 It gives individuals the right to access information about themselves and governs how private sector organizations collect, use and disclose personal details in the course of commercial business. In order to comply with the Canadian Privacy Act, a law which guarantees individuals access to public records kept by government agencies, an efficient archiving system for compliance is required. Email is a public record, just like any other document, so it is vital that a system is in place to control email data with the ability to quickly respond to compliance requests. The Personal Information Protection and Electronic Documents Act is a Canadian law designed to ensure that personal information collected by businesses is kept secure and will only be collected, used and given out under a strict set of circumstances. In addition, the Act contains various provisions to facilitate the use of electronic documents. PIPEDA incorporates and makes mandatory provisions of the Canadian Standards Association's Model Code for the Protection of Personal Information, developed in 1995. In order to comply with PIPEDA, an effective archiving system for compliance is a must. Email is a public record, just like any other document, so it is vital that a system is in place to control email data and to quickly respond to compliance requests.